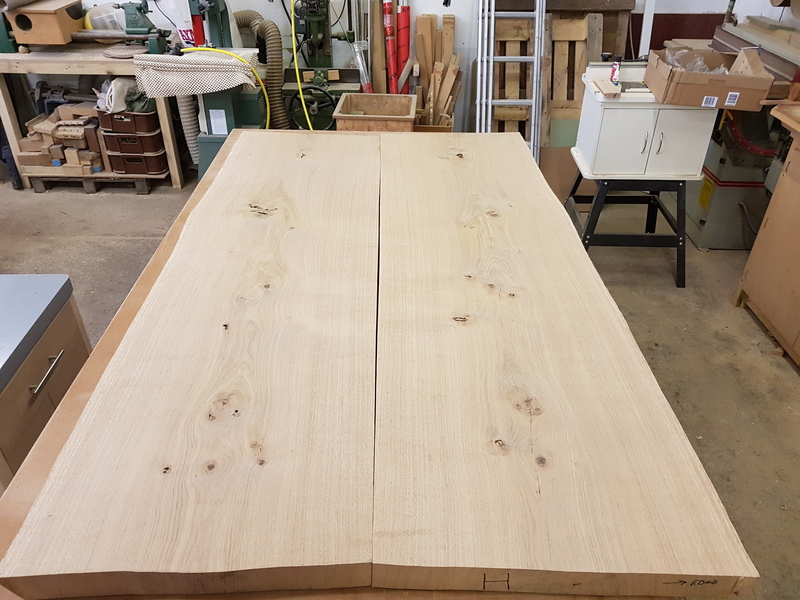 At Mark Williamson Furniture it’s important to us where the raw materials for our bespoke furniture comes from. We take every care to ensure the wood for your furniture is sustainably sourced and certified by the Forest Stewardship Council (FSC). It takes plenty of skill and experience to shape wood from its raw form into finished furniture, however what’s often not realised is that it also takes some heavy lifting. 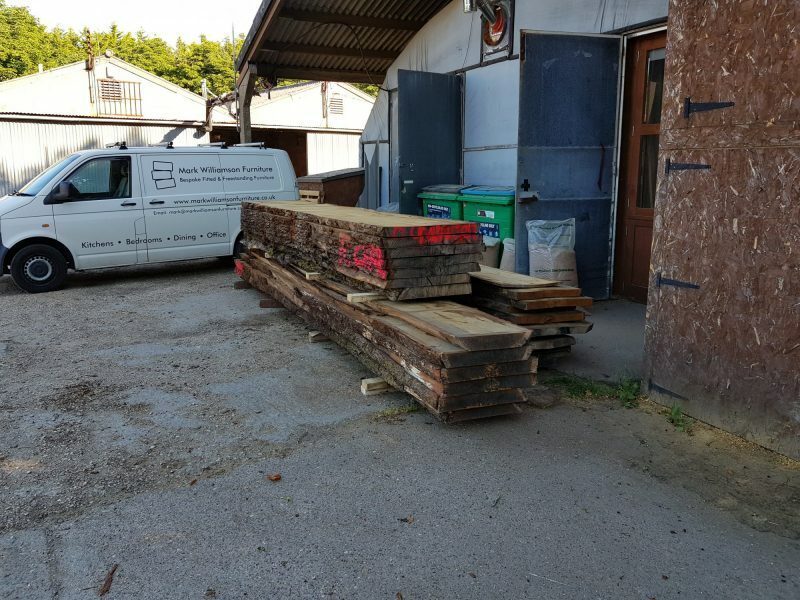 We recently took a delivery of French oak for a regular client. 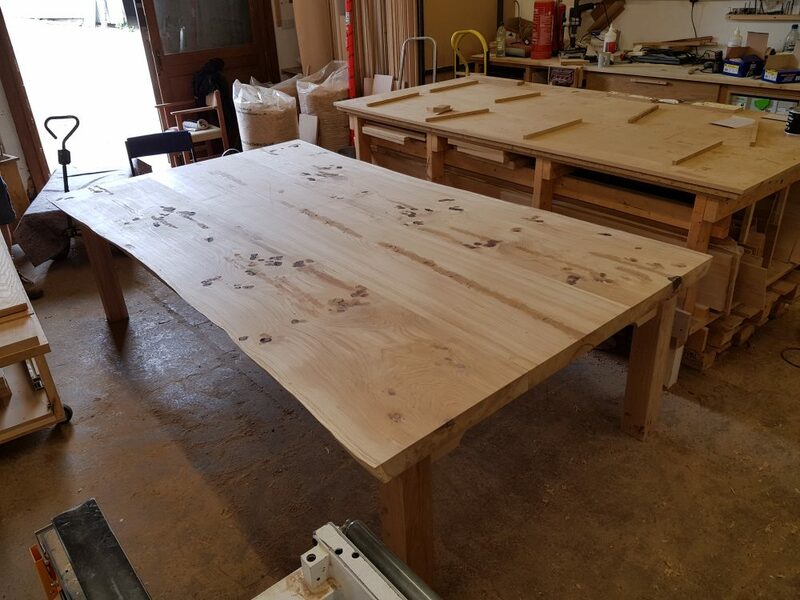 Destined to be crafted into dining tables, benches, desks and coffee tables, we first needed to manoeuvre the Oak into the workshop and cut it to size. 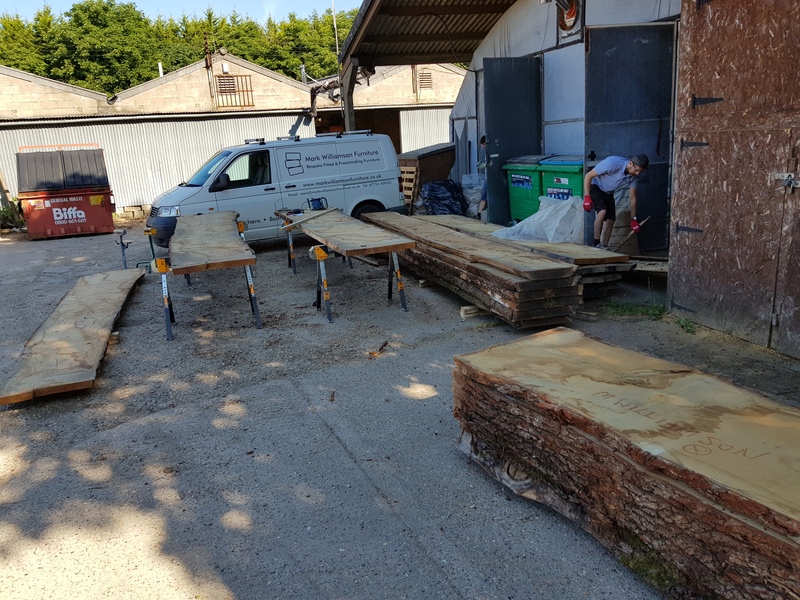 In this recent hot weather it was particularly hard work, with each piece of oak varying in length from 4.2metres to 5.2metres and weighing in the region of 100 kilos. Once into the workshop, we began to craft the wood into bespoke furniture. It has such beauty in its raw state that one of our main aims was to bring out the patterns of the grain, the knots and different tones in the wood. Book matching is a process that involves cutting the wood along the length of the tree and then opening it up like a book, so that the grain is mirrored on each side. Below you can see where this has been done, and the way this technique shows off the grain of the wood. French oak ‘book matched’ to show off the grain and provide symmetry to the piece prior to oiling. These particular pieces of book matched wood were finished into a large dining table, complete with oak frame and legs, perfect for large family gatherings. Book matched table top prior to sanding. You can read more about our environmental policy and how we source our wood here.